Two of my favorite things, both equally indulgent, in one fantastic dish? Yes, please! 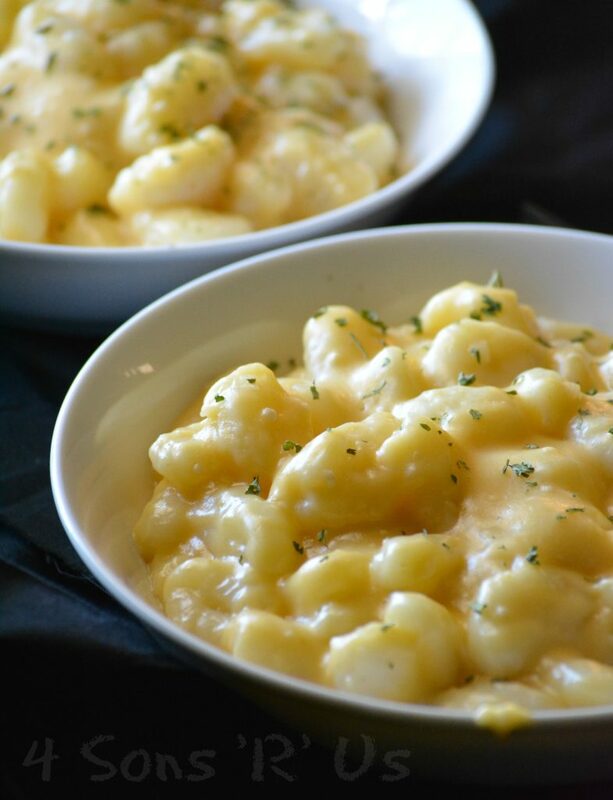 Fluffy potato gnocchi basking in a rich, creamy cheese sauce worthy of gracing the plate of even the haughtiest of Mac & Cheese snobs? Fill ‘er up, and I’m already calling dibs on seconds. Has my kitchen ever churned out such a fine bowl of creamy comfort before? And The taste! There’s just a small price to pay for a few decadent cheeses. And some calories. But the finished product absolutely pales in comparison. Grab a spoon, grab a fork, grab whatever’s handy and dig into a bowl. Dig in for a quick and easy pick me up on warm days, bad days, or just days when you want to treat yourself to a hearty bowl of creamy cheesy comfort in a simple dish. A hearty bowl of creamy, cheesy comfort food that's as quick and easy to make as it is satisfying to enjoy. Cook the gnocchi according to package instructions. Drain and set aside. 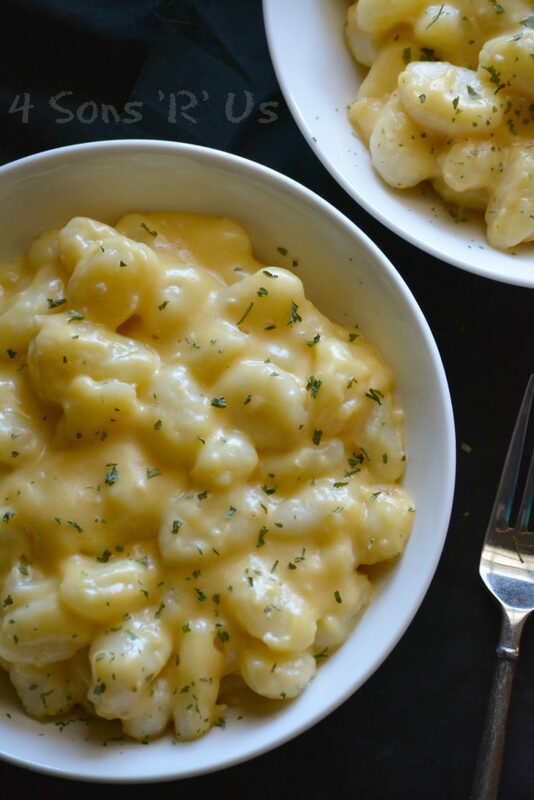 While the gnocchi cooks, get started on the cheese sauce: In a small bowl, stir together the cornstarch and the broth until evenly combined and set aside. In a large skillet, over medium heat, heat the butter over medium heat. Add in the garlic and saute, stirring constantly, about 1-2 minutes. Stir in the cornstarch mixture, and whisk until combined and a roux has formed. Slowly stir in the milk a little bit at a time, and whisk until combined. Continue cooking, whisking constantly, until the mixture reaches a low boil. 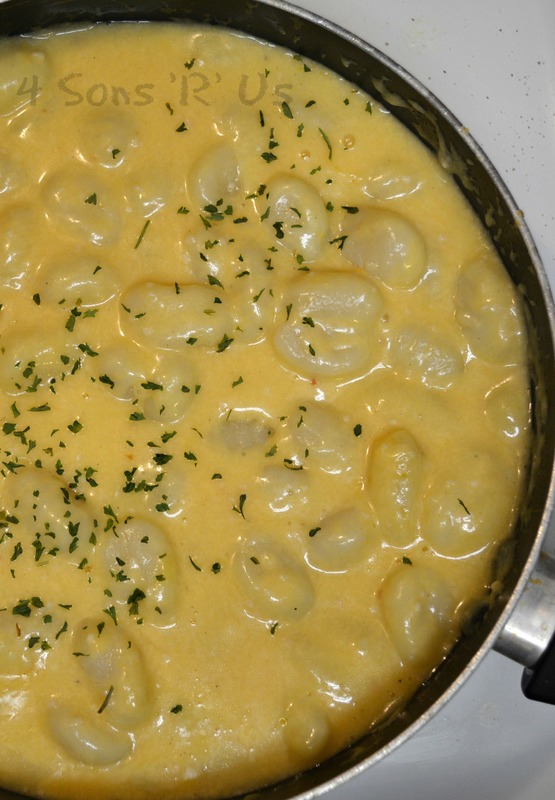 Then remove from heat, and stir in the cheeses until they too are melted and the cheese sauce is smooth. Season the sauce with salt and pepper, to taste, if desired, and remove from heat. 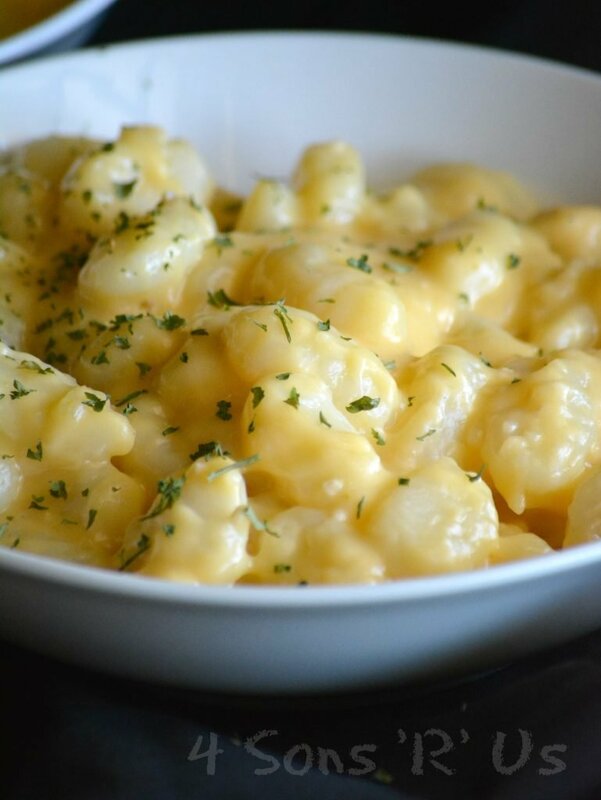 Transfer the cooked gnocchi to the cheese sauce stirring until they're completely coated. Serve immediately, with a sprinkle of finely chopped, fresh basil and/or parsley and a sprinkle of shredded Parmesan, if desired. We like ours on the soupier side, but you’re right– you could easily add more gnocchi with no problems. I’m so glad you liked it, Christine! This was good! Putting it in the rotation for family dinners as a side dish. I minced four medium sized cloves of garlic. Might be a little too much (not for me) as there was a pronounced garlic flavor. Cheese was creamy. Making it requires patience and constant attention. 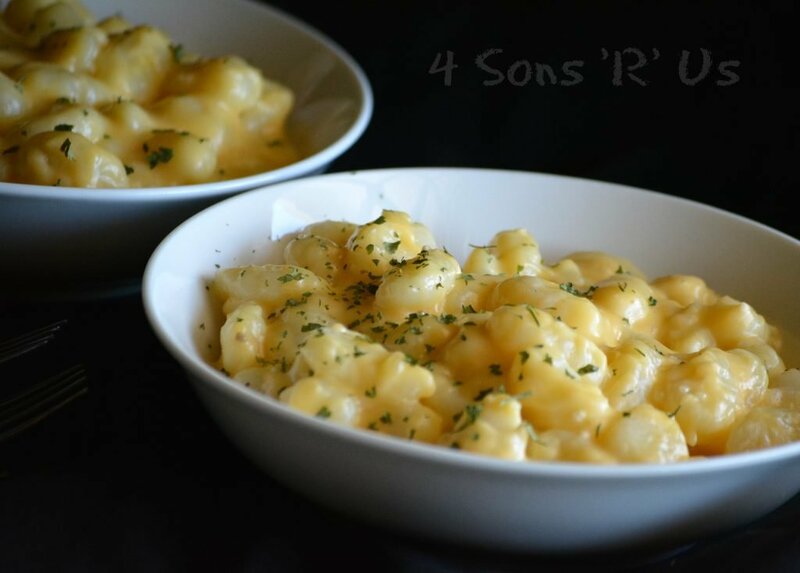 I was recently diagnosed with Celiac Disease and stumbled upon this recipe after searching for what I can do with my gluten-free gnocchi. This looks amazing and reminds me of a German dish called Käsespätzle that I love. Glad I don’t have to make any modifications to it to stay gluten free. Can’t wait to try this! This looks amazing! How well does it re-heat? Mac and cheese can get funny when warmed up. Any suggestions? Thanks!! We reheat it on the stove top. The sauce will thicken up substantially in the fridge, so I add a splash of cream so it doesn’t scorch. I’ve also found the gnocchi holds up much better than pasta when reheating!